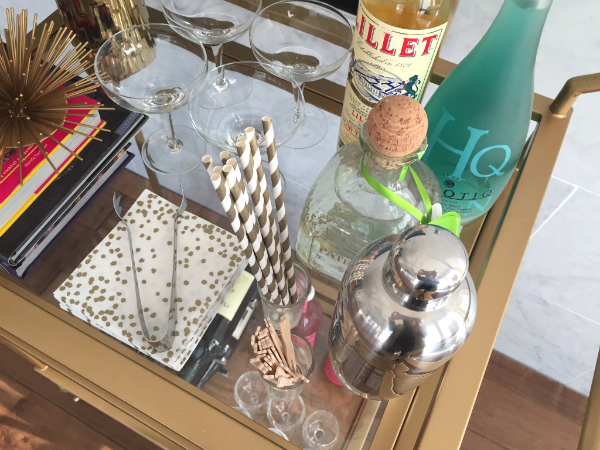 I’ve been looking for a bar cart for about a year now. I’ve seen a few that I’ve liked, but it’s really an extra, not a need , and I just haven’t found a reasonably priced one. I’ve searched second hand stores hoping to find a treasure, but no-go. Then I came across Erin Sousa from The Sparkle’s post on her Favourite Things of 2014 and there is was! That cart has been hiding at Target all along! 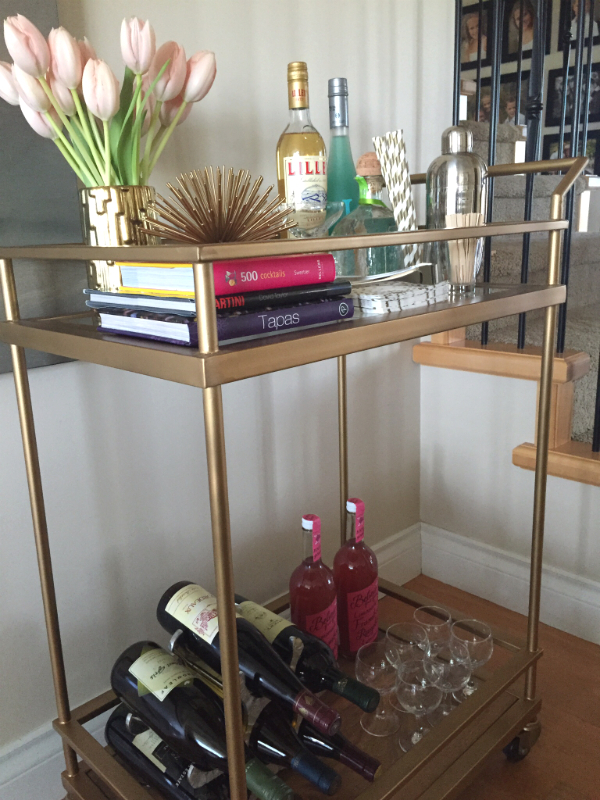 You can find this bar cart online here or I was lucky enough to find one in store locally…it even came assembled. And it’s a great value at $130. Sadly Targets in Canada are closing, but there may be a few bar carts lingering out there before they close their doors! 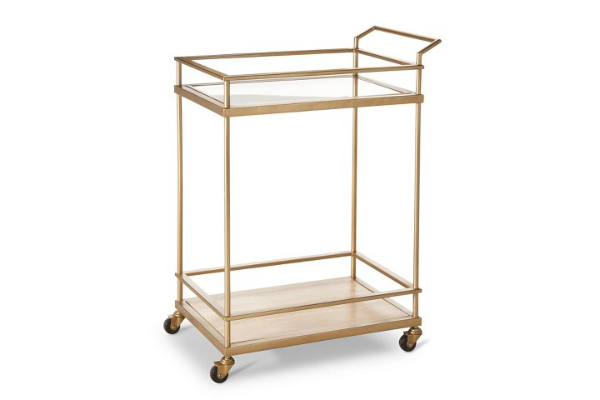 I love the modern lines of this cart…and the gold, of course! The top is glass and the bottom shelf is wood. The design is simple and clean and you can style it up to go with any decor. 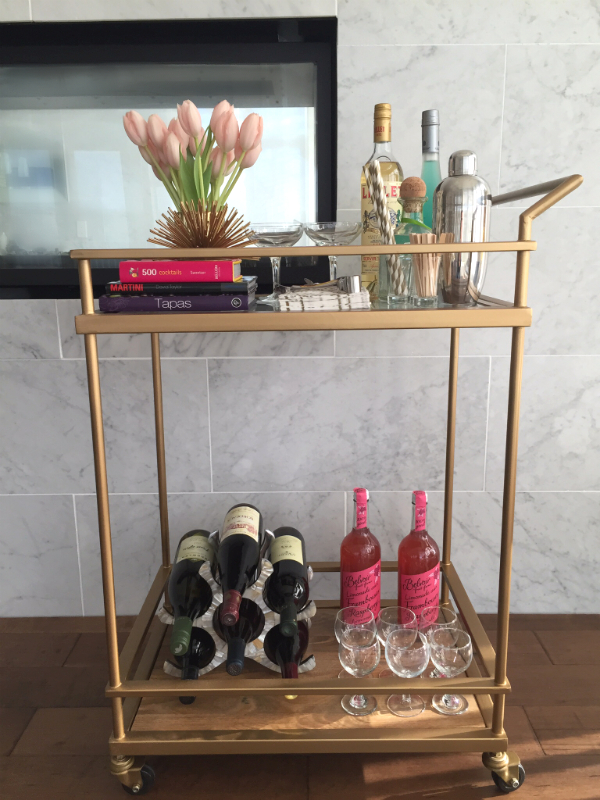 I didn’t want to spend a ton to set the bar cart up, so I went in a hunt through my house and used things I already had….oh, and I added a some fresh tulips. Fresh flowers are a must!! 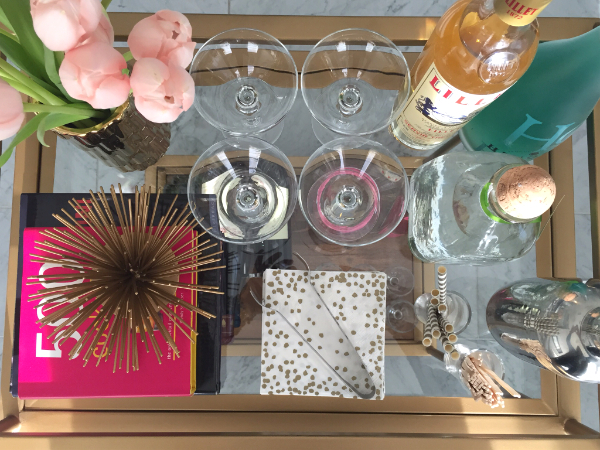 The glasses were thrift shop finds from our Paris Pop-Up party. I wanted to accent with some color…to remind me spring is on the way!! The hot pink cocktail book is fun and the blue Hpnotiq adds another punch of color. The raspberry lemonade bottles from Marshalls add some color to the bottom shelf. I had to incorporate some gold too! 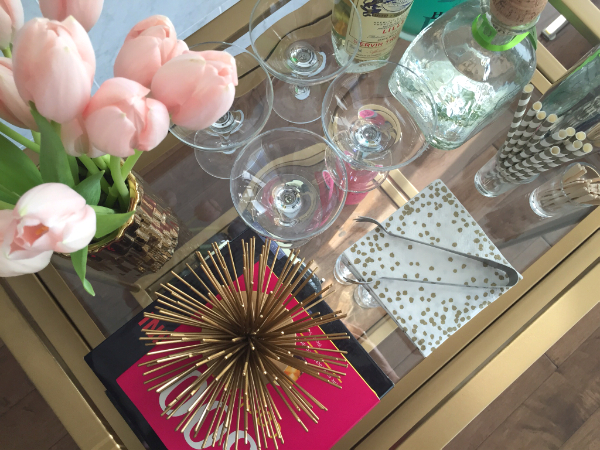 Gold and white paper straws, polka dot napkins, bamboo vase and spiky sea urchin…gold is always a good idea..and it’s all stuff that I had from past parties. The simplicity of this cart makes it very versatile. I look forward to styling it up for themed events and holidays. 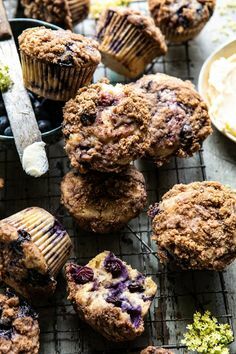 Kinda fun, hey?? « What is Your Love Language?